One of my favorite flavors of the fall season is pumpkin and there are recipes out there for just about everything you can think of. 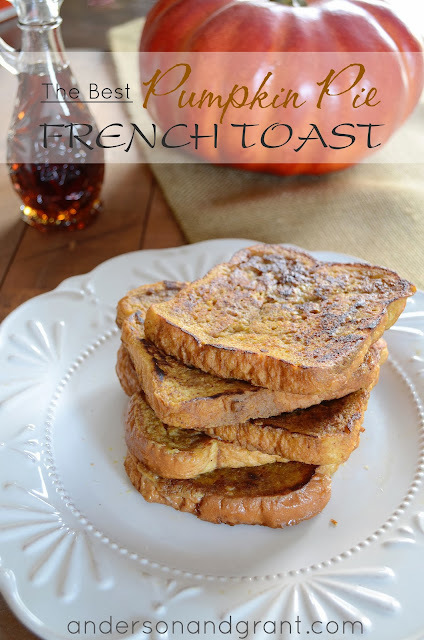 I'm always looking for great ideas to serve for breakfast and came up with this delicious recipe for pumpkin pie french toast. It is adapted a bit from here and I totally love the taste. Add the pumpkin puree, cinnamon, ginger, cloves, nutmeg, and brown sugar to a saucepan. Cook and stir the mixture over medium heat for 4 to 5 minutes. 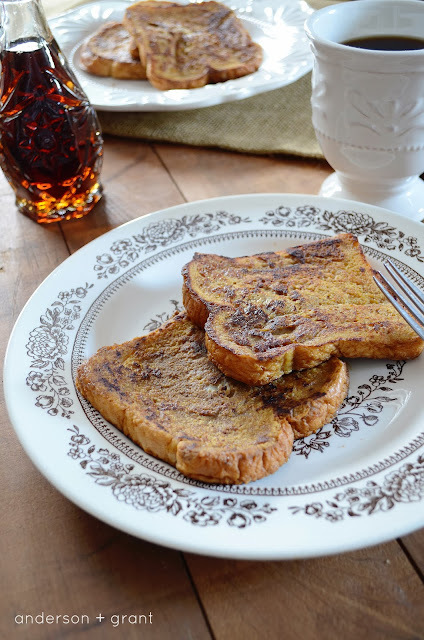 The heat will infuse the flavors together and make your french toast taste amazing (and your house will smell amazing as you cook!!!!). 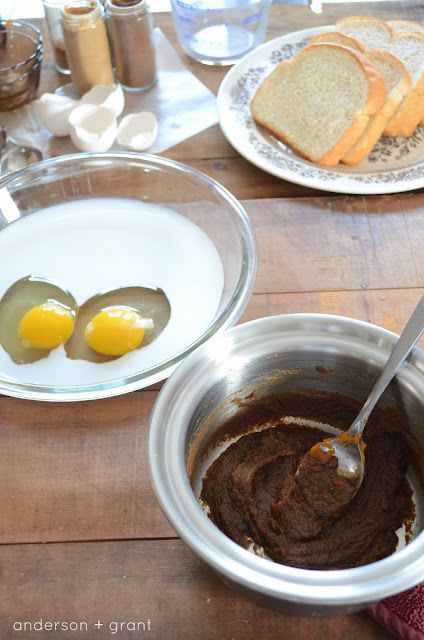 The ingredients will cook together to form a dark brown paste. Put the mixture into a shallow bowl (or I use a glass pie plate ) and add the eggs, vanilla, and milk. Mix the ingredients together until everything is blended smooth. Melt one Tablespoon of butter on a preheated grill pan. 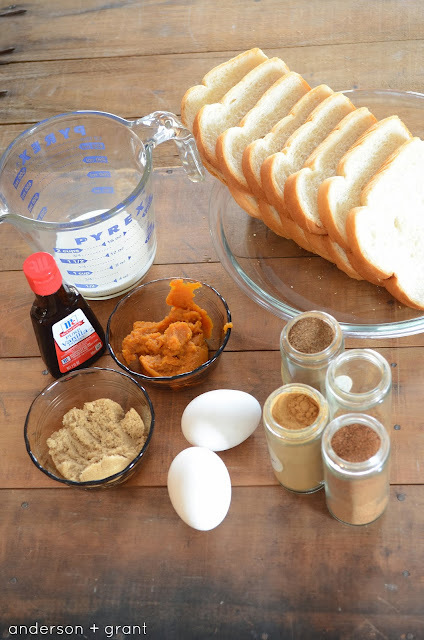 Dip your bread into the mixture with a fork making sure both sides are well coated. Lay it on the grill pan and cook until the toast is lightly browned, about 2 to 3 minutes on each side. 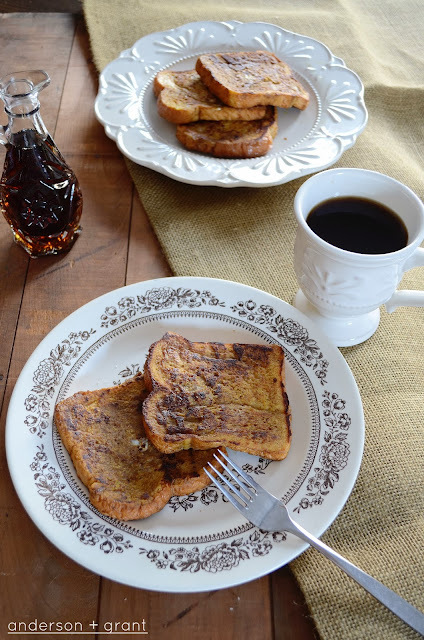 Serve with some maple syrup or a dollop of whipped cream if you'd like. 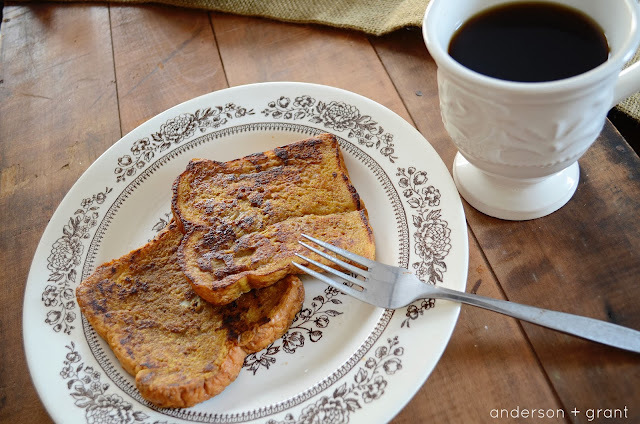 It's a great fall taste to start off your day....along with a hot cup of coffee! 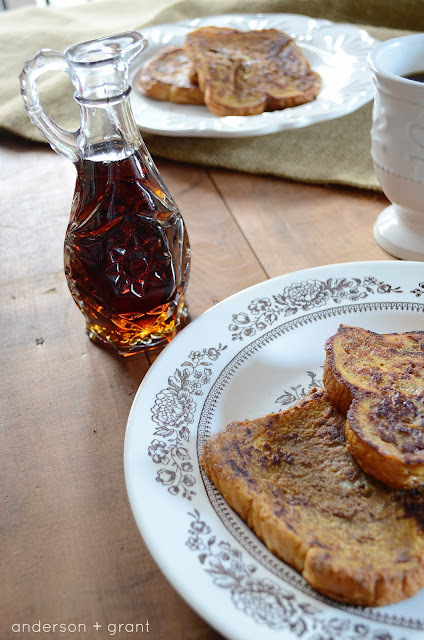 So do you think you'll be making this French toast for your breakfast tomorrow?